Hi, nice to meet you. You have some fabulous photographs! Thank you so much for following our blog. I hope you enjoy the stories of our journey. thanks for stopping by and following my blog. I checked out your site and you have some very nice shots. A great variety of birds. Hi W.H. Thank you for visiting and following HoB. Much appreciated! Thanks a lot for visiting & following my blog, it means so much to me! Thanks for the follow — and I love your photos and the stories you’re telling! Very inspirational. I must add…your photos are INCREDIBLE! Great work! I will do, Merry Hearts! thank you so much for the compliment! It is a well-deserved compliment just from what I saw on your blog in less than five minutes of exploring! Soyez très bienvenu dans ma vitrine Non Conforme …!!! Thanks for the visit, the like and the follow. I find your photographs really awesome. And yes, I agree with you, camera is a mere tool. It’s the skills and the eye of the person behind it that make a photograph to be a good or a bad one. « Câ€™est quâ€™elles sont cons ces cr&nqques&tbsp;iraiuo;quand les rÃ©vÃ©lations de la septiÃ¨me saison sont des rÃ©Ã©valuations au chalumeau, elles sont souvent des moins que liens .Mais il s’est dÃ©jÃ vu qu’on prenait l’ oeuvre originale de main de maÃ®tre pour un tronie de super faussaire! Thank you for subscribing to my blog! Here you’ll fiund more than 4000 ‘fulls creen pictures’ from Norway and/or Norwegian nature. New pictures will be posted on a regular basis. Please enjoy! you’re welcome! 🙂 Norway is such a beautiful country, and I hope to be able to visit it one day! Love your striking and colorful wildlife banner!! Very pretty!! I appreciate your visit to my neck of the woods and am enjoying exploring yours too!! thank you, Judy! your blog and photos are absolutely beautiful and such a pleasure to explore!! OH thanks much!! Nice we can share our worlds here!! You are self-made which way better than having a formal education and that is the beauty of being creative. I do believe that these creatures that you photographed have allowed you in their life for they can sense your true nature. A lover of nature. self-made and self-taught is the harder row to hoe (and generally takes longer), but ultimately, it provides a greater sense of personal fulfillment and accomplishment. Thank you for popping over to visit my blog; I thought I’d pop you right back 🙂 Beautiful photos, and I like the embedded text layout; is Visual a premium theme? Looks great. Visual is a free theme. I like the Raleway font and the layout was perfect for annotating photos with a story. Incredibly compelling banner – love it! 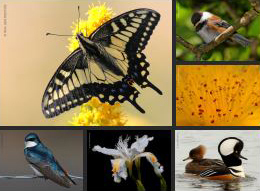 I’m an avid birder and photographer, but my camera is seldom all that great at catching the detail of birds. I do better with flowers that stand still! Enjoyed brosing your shots. thank you, Jazz! bird and wildlife photography requires a lot of patience. true, flowers don’t run away … but they still require a steady hand, especially if you like to do macro photography like I do. Thanks for stopping by and following my photo and travel blog. I hope you continue to enjoy my photography. After sampling your site, I know I will enjoy following your posts as well. Thanks for following my blog, hope that you enjoy the ramblings. I love your photo’s, your capture of colour is brilliant. I was wondering what lens(es) you were using? I look forward to seeing your photo’s in the future and wish you a good day. (my favourite walkaround lens), and most of the time, for wildlife, a Sigma 150mm-500mm F5-6.3 AF APO DG OS HSM super telephoto lens. Hi, thank you to connect with my blog. I hope that the French discussions are not a problem for you. See you again, and maybe have a chance to exchange on different things! many thanks for taking an interest in my photography and following. Really? When did you migrated? absolutely, all in the name of development!!! Omg! A visit is way long overdue. You will not recognise Kuala Lumpur much at all. Great! Your bird photography is great too. Beautiful pictures! Love your header! ohhh, so SWEET!! congrats, Pam! Thanks for the follow. Great ducks! There is a great deal of diverse and interesting birdlife in S.E. Asia, Australia, and South America, and I hope to be able to see many more species in the future! PS. I just remembered that I had been to Borneo once MANY years ago, but I was quite young … not even able to drive yet :). Lots has changed since then, I’d imagine! You have some beautiful photos. Thank you for following my blog, because now I can follow yours. You are an amazing photographer! thank you for the compliment, gahlearner! I have been a student of DSLR photography for just a little more than a year. Me encanta leer tu comentario de que una buena cámara no lo es todo para hacer buenas fotos. Mi cámara es una compacta y eso me da muchas esperanzas de llegar a conseguir algún día una foto estupenda. Gracias por pasarte por mi blog y seguirlo. You are an inspiration! I am a Jenny-come-lately 😉 to DSLR photography, having dabbled now and again over the decades but sadly never really applied myself. However, just last month I took the DSLR plunge with a Nikon D3300. Still trying to get used to having a viewfinder, LOL, and literally just added a prime lens (another new adventure!). Thanks so much for stopping by my blog. I’ve just been scrolling through yours and your photography is brilliant. So glad I found it and will definitely follow. Love your header too! All the best on your storytelling journey~ both through images and the words. Appreciate the follow and looking forward to your story sharing! Thank you for following me! I love your photographs. I’m a Nikon user but understand the rebel in you! Happy Sunday! Thanks for visiting and following my blog. enjoyed visiting yours in turn – love the photography! The first photograph of the parrot is amazingly beautiful. Thanks for finding and following my blog. I love your connection to nature, your respect for and love of the birds, and your philosophical approach to photography. I’m more of a writer than a photographer, but like you I truly love capturing the moments I’ve been able to spend with these wondrous, winged creatures. Your images are outstanding, and the stories you tell around them are emotionally and spiritually compelling. I look forward to reading and viewing more. Thank you for creating a blog that blends both your gift of the written word with your digitally documented experiences of the natural world! Thank you for the recent follow. I admire your photography. I am also self taught and have much more to learn. There is so much to learn here in the world of bloggers! I look forward to following your page and learning more about photographing wildlife. Thank you for stopping by my blog and for the follow. After just a quick peek at your blog, I definitely need to look at more of your posts. You have so many wonderful images on your site! Thank you for your kind words! I was hooked the moment I saw the post on Mr. Fox, and the WP theme you use is just so clean and inviting! I love your photography. When you have a chance stop by my blog to see if anything amuses you. You have won over another follower with your talented eye. Hello Mr Sim. Very nice photos! I’m thinking you must be the guy who takes the pictures for those Audubon bird guidebooks. Fantastic work! Look forward to exploring your blog, I think we have much in common and a similar appreciation for nature and photography. Your photography is superb and lights my day!